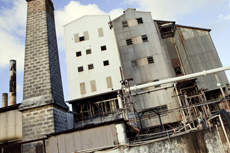 With Barbados being known for its rum, you cannot miss out on the many distillery tours offered throughout the island. Must visit the Mount Gay visitors centre, fantastic tour, excellent rum. Must visit the Mount Gay visitors centre, fantastic tour, excellent rum. Was about a 20 minute walk from the ship and there is a beautiful beach just across the road. Spent some time sampling the rum at Mount Gay Distillery; what could be bad about that? Mount Gay and Foursquare. Loved them both for different reasons. It&apos;s Rum...how can you go wrong! Went to Four Square and Mount Gay rum tour and it was awesome. Went to Four Square and Mount Gay rum tour and it was awesome. Very informative and had some great tasters. Awesome excursion. The tour guide was funny, entertaining and very knowledgeable. We tasted 5 different rums and stopped at the distillery bar afterwards for a couple of very tasty fruity rum concoctions as well. Highly recommend. The tasting of different types rum and the explanations on how they make the rum, were very pleasant and interesting. It was very impressive to see the quantity of bottles they produce. Enjoyed seeing how rum is made! Nice bus ride to the distillery and an informative tour with knowledgeable staff. Nice bus ride to the distillery and an informative tour with knowledgeable staff. Would recommend it if that&apos;s your thing. Very good tour and grounds. Very good tour and grounds. Very detailed and educational with opportunity to taste ALL the rums they made. Fun tasting and gift shop and the tour reps were very knowledgeable. Wholeheartedly recommend the Mount Gay Distillery Tour. Wholeheartedly recommend the Mount Gay Distillery Tour. Just a short cab ride away from the port ($7) and you&apos;ll be on your way to a great Rum tasting in the oldest distillery in the Caribbean. Liked the ride through the island to reach the distillery comfortable bus. It was a good overview with a chance to sample and buy. We visited two distilleries, the first was to Heritage Park, the R.L.Seale museum of rum. We went to 2 rum distilleries. We went to 2 rum distilleries. Generous samples. Very informative and educational. Highly recommend. Excellent tour of the Foursquare distillery. Excellent tour of the Foursquare distillery. If you are there - you have to try the creamed rum that tastes like Bailey&apos;s.
Heritage Square distillery was very nice.